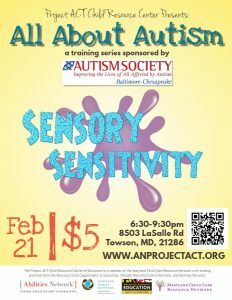 This training provides participants with an understanding of sensory integration, sensory integration dysfunction, and how sensory issues can impact children with autism spectrum disorders. It discusses ways to include ‘sensory diets’ and sensory activities that assist children with Autism Spectrum Disorders (ASD) to be successful in their learning environments. Participants interested in this training should take Autism Spectrum Disorders: Learning the Basics or have prior knowledge of ASD.